Imly in Rajouri Garden is known for adding an Indian twist to all the items on their menu. And as the name suggests, the cafe's decor is also funky and attractive. 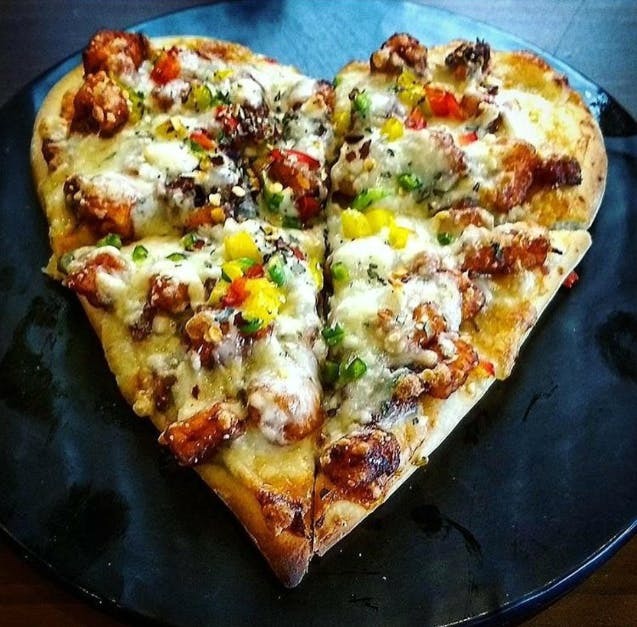 You can get a heart-shaped pizza on demand and surprise your date because pizza is love. 😍 Everything here is presented in such a beautiful manner that you'll stop and take a picture of your dishes, like the golgappa shots and rasmalai-tiramisu. The best part of this outlet is that a meal for two costs only around INR 600. One should visit this restaurant in the afternoon to avoid the rush. Apart from Rajouri Garden, the outlet is also present in Gurgaon, Noida and Rajendra Place. Yay!